Some may not care (and I suspect a majority won’t) but there are some of us that do. When Super Bowl 50 kicks off on Monday 8th February (Australian time) there will be some of us sports enthusiasts who will be watching closely. How we do that is not as hard as it may have seemed in the past. This year it will be easier than ever for Australians to watch the Super Bowl on any device. There are three ways to watch the Super Bowl (can I just abbreviate that to SB now? I’m already getting sick of typing it) and which way you use will be determined what you want to get out of it, where you are, and what device you have. Sounds great, and it really is in my opinion, but the kicker is that this will set you back $54.99AUD for just the last two weeks of the season if you get in now. This will allow you to watch the game on whatever device you want, your phone, tablet, PC, Chromebook or Android TV. There is a cheaper option for just the last 3 finals games and the Pro Bowl for $39.99AUD. While the NFL Game Pass app cannot be installed on Android TV, it does fully support Chromecast from any device and does so well. Australian providers should take note at their implementation. If you are watching on your phone this may present the best option, although it is the most expensive option. Watching live with NFL Game Pass will give you all the cool SB ads as well. This is by far the cheapest and easiest option for Australians. 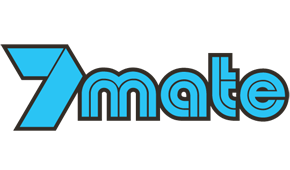 7Mate, as they have with all Playoff games this year, will be televising this weekend’s championship finals as well as the SB live. If you are in front of a TV just switch over to 7Mate and sit back and enjoy the show. If you are nowhere near a TV the game will also be streamed through their PLUS7 app. If you can put up with the endless amount of ads before you even get to the show you want to watch then this could be the mobile option for the casual fan. Remember it will incur data charges (unless you are still on the $2 days from Optus). A big downfall of this option, and one that rules it out for some, especially our esteemed editor Dan, is that you will NOT get to see the SB ads during the stream. 7Mate will have their own ads while I can guarantee you won’t be anywhere near as creative as the USA SB ads. For those in the States CBS will be streaming the game live via their website. This scenario thus requires our favourite online friend, a proxy or VPN. If you just set your proxy to USA you will be able to stream the CBS website game to your tablet or PC. OF note is that this season the NFL and CBS did a deal with Verizon that gives Verizon exclusive access to NFL games via mobile devices (not tablets, just phones apparently). Whether this extends to Australians using a proxy or VPN is unknown at this stage (but I will test it this coming week and update this post when I have an answer). I have been unable to find out how Verizon determine a mobile is one of theirs although I suspect it is through the APN on the phone. Possibly, using a WiFi network may be a way around this but I will keep you posted when I find out more. Watching the CBS stream will give you all the SB ads in all their glory so I suspect this could be the most popular option for most punters (see what I did there?) out there. Our favourite VPN and proxy here at Ausdroid seem to be PureVPN and Unblock-US. So settle in and prepare yourself for the biggest day on the USA sporting calender. This year we do not have to miss out. Now we just have to wait and see who will be there in San Francisco, Peyton Manning’s Broncos or Tom Brady’s Patriots and Cam Newton’s Panthers or Carson Palmer’s Cardinals. Assuming ESPN is going to show it too live (which I think it very likely due to them nearly always playing the very same game as 7Mate is) then at will also be another way of watching it. For me I know I can stream this to my mobile using the Fetch TV app as I have one of those STB’s. I would assuming maybe Foxtel go may offer the same ability if you have a sports pack? I think I might be missing the point here. So what you’re saying is that we can either watch it on free to air television or do something more complicated and expensive? Haha! Who is “Pete” Manning? lol. i was going for the abbreviation for Peyton. You want the full name? never seen it appreviated to pete though.